Learn how to hire a Minneapolis licensed electrician who makes safety and quality a priority. Question: How do I choose an electrician? A licensed electrician is required for most electrical repairs, maintenance and installation. Don’t take an electrician’s qualifications for granted. Licensed electricians should be bonded and insured. Request to see a copy of your contractor’s insurance to make sure they are covered in the event that something goes awry. Verify your electrical contractor’s license status through the MN Department of Labor and Industry. Acquire 2 to 3 written, detailed bids for your project. Make sure that the bids you receive are accurate to the specifications that you outlined for your project. They should be provided in the form of a written Service Agreement or contract. Check with the Better Business Bureau for reviews and complaints. Question: What are the Benefits of Using a Licensed Electrician? The MN Department of Labor and Industry requires that all licensed electrical contractors be bonded and insured to perform work in Minnesota. Hiring a contractor that is not licensed, bonded, and insured places the consumer at significant risk. What is a Bond? – A bond legally binds the electrical contractor to your contract with them for satisfactory completion of the project. Bonds provide financial and legal recourse for you if the job does not satisfy the contract and helps to ensure that it is completed, start to finish. What is Insurance? – General liability insurance covers losses and liability issues that may arise during a project. Unlike a bond, it does not cover a project that is not performed to the contract’s satisfaction. Using an unlicensed and uninsured contractor could leave you liable, with little protection, in the event that an unfortunate incident occurs. Question: What is the Difference Between an Estimate and a Bid/ Proposal? An Estimate is an approximate cost provided by a contractor to complete a project. The actual cost may be more or less than the estimate once the project is complete. Bids and Proposals are an offer to do a job for an exact price. It is best to get bids and proposals in writing so that the contractor cannot charge you more than the agreed upon price. A bid or proposal is more legally binding whereas an estimate is more of an educated guess. Question: What is a Master Electrician? Master Electricians are experts in their field with many years of experience. They are required to participate in continuing education to stay apprised of all electrical codes and best safety practices. 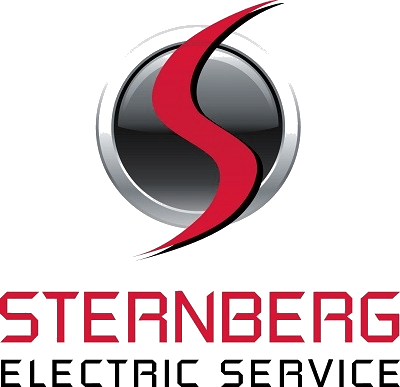 The MN Department of Labor and Industry defines a Master Electrician as “an individual having the necessary qualifications, training, experience and technical knowledge to perform and supervise any electrical work, and who is licensed as a Class A Master Electrician by the commissioner”. Master Electricians can work with some of the most complicated and complex electrical projects. They have extensive knowledge of the electrical industry and are highly skilled professionals. Question: Why do I Need an Electrical Permit? Why are Permits Important? The MN Department of Labor and Industry requires every new electrical installation in construction, remodeling, replacement, and repair to be inspected for safety code compliance. There are some exemptions for minor repair work. Inspections help ensure safety to life and property and hold electrical contractors accountable for the work they perform. Help protect your family from safety risks such as electrical fires and hazards. Help eliminate costly repairs for shoddy or sub-par work. Save you money by catching errors, eliminating mistakes, preventing extensive repairs and making sure the project is done right the first time. Holds your contractor accountable for their work to make sure that safety is at the forefront of your project. Your licensed electrician should be able to pull any applicable permits to complete your project. If a contractor requests that you obtain a permit, this may be cause for concern. Arrive in an unmarked vehicle. All company vehicles are required to have a contractors license number displayed on the vehicle. Refuse to give you a written proposal or contract in regard to the scope of work that is to be performed. Request that you obtain necessary permits. Promote the idea that a permit is not needed to cover up the fact that they are not qualified to pull a permit. Refuse or are unable to provide their MN License number. Require full payment before work begins. The industry standard is 1/2 down at the start or prior to the start of work. Be wary of handymen who advertise or offer electrical wiring installation or repair. It is not legal or safe for them to do so without electrical certification and licensing.